All of the greats find fuel to drive them. For Tiger Woods, it’s Jack Nicklaus. For Michael Jordan, it was a burning desire to beat everybody at everything. For Kevin Durant, it appears to be an overwhelming insecurity and persecution complex driven by an obsession with media, social and otherwise. 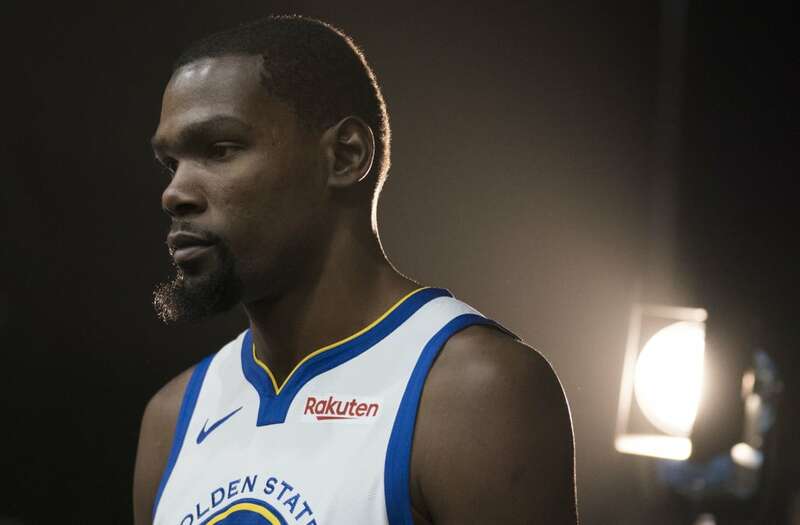 While Durant has provided plenty of fodder feuding with fans and players on social media, sometimes using burner accounts, sometimes not, his latest beef with sports media may have provided the best insight into his psyche as a professional athlete. When asked on Tuesday on a radio interview with the Bay Area’s 95.7 why he thought he didn’t get more consideration for Defensive Player of the Year last year, Durant let it fly. This, from a guy who won his second straight NBA Finals MVP award last year when many thought Stephen Curry was the rightful recipient. Durant appears to still be angry about having just one NBA MVP award, which came in 2014. He’s also been voted to the All-NBA first team six times and second team twice in addition to his Rookie of the Year award in 2008. These were all voted on by media members and awards that he rightfully deserved. And voters don’t always get the MVP right. Just ask Shaquille O’Neal. But his victimhood isn’t going to draw the sympathy of many. Since Durant joined the Warriors, he’s sacrificed his chances at individual accolades in exchange for a shot at championships. Sharing the ball with that many All-Stars is going to dampen stats and diminish awards chances. Durant addressed that as well. He’s right. He probably won’t. But that’s a choice he made, not some vast conspiracy against him. But it’s all OK. Durant is one of the best players to play the game and has maintained a sky-high level of play throughout his career. If this is part of what drives him to maintain his level of excellence, then so be it. Whatever it takes. He just shouldn’t expect people to like him for it.